Long ago my brother-in-law Don wondered if I would be bringing ‘seaweed’ to a family pot-luck gathering! I still smirk at the memory and often ponder if he would sample my latest culinary creations here in Ecuador! 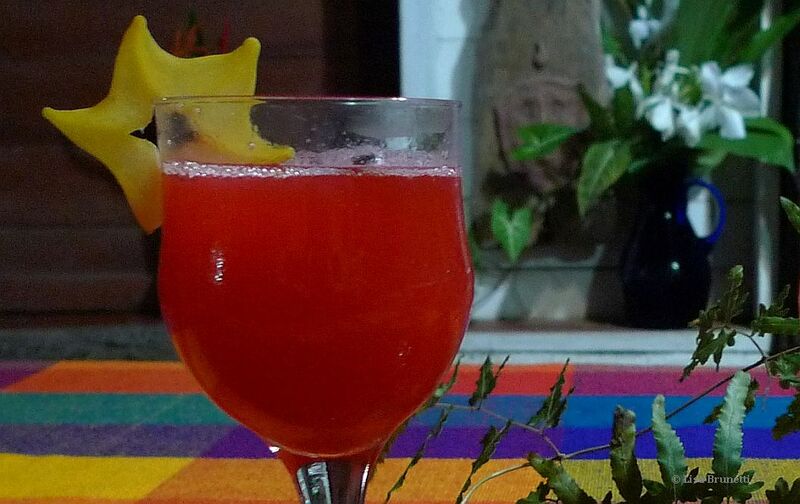 Hibiscus remains my ‘herb’ of choice for freshly-brewed tea, and when combined with lemon, maracuya, starfruit or any acidic partner, the drink transforms into a shocking-red-but-healthy drink!